E. Theresa (Terry) (Aubrey) Donnelly of Center St., Ludlow, passed away at Mt. Saint Vincent Care Center in Holyoke on Friday, November 23, 2018. Terry was the wife of the late Mack Donnelly, former civic leader, children’s sports organizer, longtime coach and Executive Director of the Ludlow Boy’s and Girl’s Club from 1970 until his death in 1989. They were married in 1948 in West Springfield. She was a 1945 graduate of Technical High School in Springfield where she was the Commander of girl cadets with Springfield’s first Civil Air Patrol Cadets from 1943 to 1945 during WWII. Terry started her career at John H. Breck Inc. in Marketing and Publicity, then moved into insurance at Firemans’ Fund Insurance Company and then spent 23 years at Commercial Union Insurance Company retiring in 1992 as a Property and Casualty Marketing Assistant. She also held licenses as a Life and Accident Health Insurance Agent and as a Real Estate Broker. She was a snowbird, living near her son in Sun City West, Arizona in the winters. She leaves dear friends there. She loved to dance, especially jitterbug, which she danced well into her 80’s. She was involved in many activities, many of which she organized. 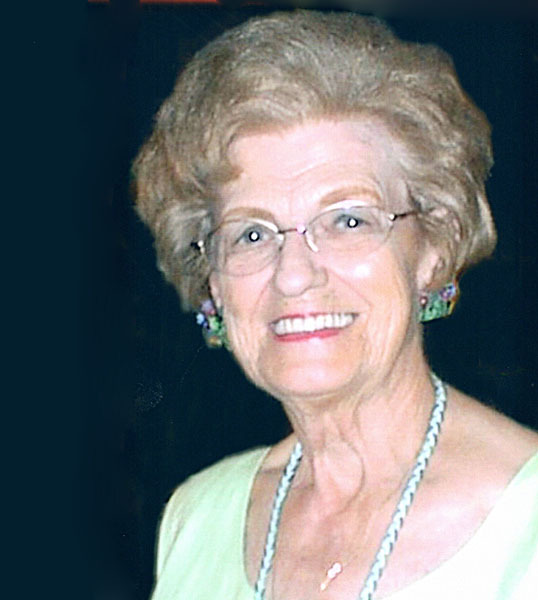 She leaves her 3 children, Patricia Ann Little (Richard) of Montgomery, Maureen L. Beauregard (David) of Ludlow and Timothy J. Donnelly (Sandra) of Waddell, AZ. Her 9 grandchildren are Richard Little Jr. and Sheri (Little) Bucko of Montgomery, Melanie (Geer) Asta-Ferrero of Agawam, Brian Geer of Boston, Benjamin Geer of Connecticut, Michelle Beauregard of Ludlow and Amy (Donnelly) Barnett, Christopher Donnelly, and Kenny Donnelly of Waddell, Arizona. Her 12 great-grandchildren are Mason Little, Ryan and Peyton Bucko, Emily and Kaylee Ottomaniello, Maddie, Aiden and Ellie Barnett, Gavin and Autumn Donnelly and Wyatt and Elora Geer. She also leaves her brother Kenneth Aubrey and his wife Elaine, her sister-in-law Barbara Aubrey and nieces and nephews. She was predeceased by her brothers Ronald (Bob) Aubrey, Raymond Aubrey, Leo Jr. who died as an infant and her parents Leo and Beatrice (Raymond) Aubrey.